Begging trouble, Strategy Analytics forecasts Sony's PlayStation 3 will outsell both the Xbox 360 and Wii by the time things are winding down for all three. That's not all: In a report titled "Taming the Waves: Games Console Life Cycles and Platform Competition," the company offers specific figures, predicting everything from transitional timeframes to life unit sales. 127 million, that's how many PlayStation 3 consoles Strategy Analytics predicts Sony will sell by generation's close. Compare with 103 million Wii units. And the Xbox 360 lifetime sales figure? The press release strangely neglects to provide one. 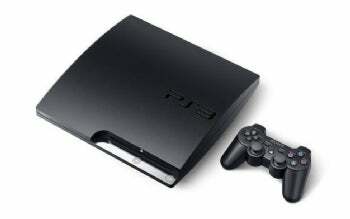 The report further claims the PS3 will still be commercially viable five years after the Wii's been replaced by its successor. "Nintendo has done a great job with the Wii in bringing console games to new audiences," says David Mercer, the report's author and principal analyst. "But its sales are now falling, particularly in mature markets, and its installed base will peak in 2011. By contrast, Mercer believes PS3 and Xbox 360 ownership will peak between 2012 and 2014. 2010 could be a slump year, however. The report predicts worldwide console sales will drop 9 percent in 2010 to 47.5 million. The sales breakout by console: 17.5 million to the Wii, 14 million to the PS3, and 10.5 million to the Xbox 360. Current system ownership should peak in 2011, says the report, after which companies will have to intro new systems to maintain industry growth. Translation: Look for the Wii's successor as well as new or further discounted versions of the PS3 and Xbox 360 next year.